We are a fully licensed and insured stucco repair, remediation and stucco testing company serving all southeast and central Pennsylvania. As a family owned and operated business, we strive to go above and beyond to offer you outstanding customer service with a personal touch. Even if you’ve seen some problem indications on a stucco inspection report, or if you see some visual evidence, you may be a candidate for stucco repair. This is a less invasive approach for homes and properties that have not yet reached comprehensive substrate damage or failure. It can be a surprisingly affordable option that allows you to seal the existing points of water penetration, and address some minor or localized damage to substrate. Finally, we can restore the look of your existing stucco and even enhance it’s resistance to water in the future. Removal of localized damaged substrate. Replacement of damaged substrate with plywood. Removal of any mold on structural framing. Fungicidal treatment of mold areas to kill all trace organisms. Encapsulation of mold areas to prevent future mold growth. Cut around all windows and seal properly against water penetration. Apply elastomeric layer to strengthen resistance and freshen the look of existing stucco. 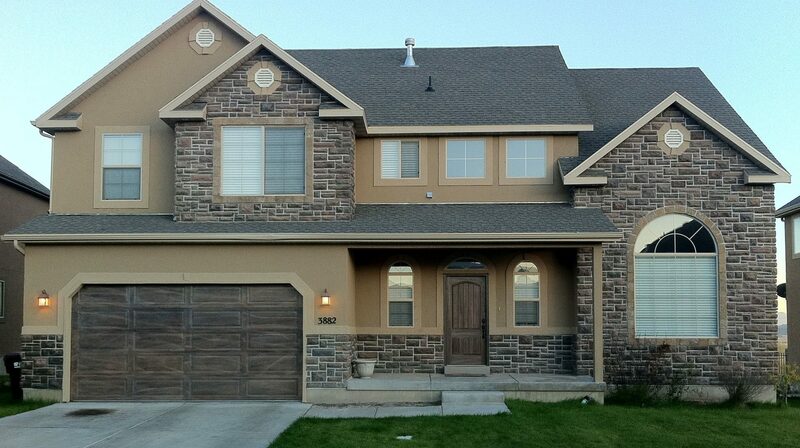 At Yost Stucco and Masonry, we specialize in stucco repair. It takes expert skill and training to professionally repair stucco and apply stucco paint correctly. We have years of experience offering our complete stucco repair services to homeowners and small businesses in southeast and central Pennsylvania. We know that we will hit your job out of the park! No matter what type of problem you have, if it needs plastering, stucco paint or repair, moisture testing or more, we are the pros to do the job! With our team of excellent craftsman, your stucco walls will look modern and sleek, your wall plastering will be smooth and even, and your stucco repair will look better than ever! Contact your local Yost Stucco at (484) 589-1274 today.